Truffles have been a popular ingredient for centuries, and today, they’ve gotten even more widespread thanks to chefs looking to improve on their dishes with a unique, high-class ingredient. But there’s one big question that arises for anyone cooking with truffles: how much is a truffle worth? That’s a tough one to answer! It’s no secret that truffles are expensive. Before you get started shopping for these tasty ingredients, you’ll probably want to ask a couple of important questions. How much does a truffle cost? Can you afford to buy one? Are there easier or cheaper ways to get the flavor of a truffle in your cooking? Does a cheap product mean it’s low-quality? And that’s where this article comes in! Whether you’re asking “how much is a truffle?” or just looking for some information about truffle-based products, I’ve got the information you need to better understand these delicacies and their price. By the time you’ve finished reading, you’ll know the price of individual truffles, truffle products, and even the value of truffle trees. The next time someone asks you, “How much does truffle cost?” you’ll be able to answer them—and you’ll know a lot more about budgeting for your own special dinners, too! So how much do truffles cost... really? Let’s find out! Truffles – How Much Do They Cost? What Else Makes Truffles So Expensive? The price of truffles differs depending on the type of truffle, the place where it’s from, the quality of the particular specimen, and the time of year during which it was harvested. However, with all that said, there are some general prices you can expect to encounter when shopping for truffles. How much does one truffle cost? In order to figure out the cost of a single truffle, you first have to determine what type of truffle it is. Most truffles should be clearly labeled, but some may be mislabeled (whether on purpose or accidentally). Understand that white truffles will always cost more than black truffles, no matter what variety. Some types of black truffles can be sold for very low prices, while others may be almost as expensive as the rare Alba white truffle. But how much is one truffle? That changes depending on the variety, as well as on the truffle’s size itself. You can expect to spend anywhere from $20 to thousands of dollars for a single truffle! How much are truffles per ounce? Most truffles are priced per ounce. Every now and then, when a truffle sells at auction, it goes for a price per pound instead. So how much is an ounce of truffles? Lower-quality truffles, such as Oregon black truffles and Chinese black truffles, run between $3 to $6 per ounce. Mid-range truffles, like the summer black truffle that can be found throughout Europe, tend to cost around $10 per ounce, but may run a little higher depending on quality. The most expensive black truffles in the world, Perigord truffles, go for $35-40 per ounce, and the very pricey Alba white winter truffles clock in at $120-130 per ounce. How much is truffle per kilo? Once you figure out the cost of a truffle per ounce, you can work out how much it will cost per kilo. Oregon black truffles run around $240 per kilo, while Chinese black truffles can sell for much cheaper, around $93 per kilo. Black summer truffles sell for between $300-400 per kilo, while the more valuable winter Perigord black truffles may run upwards of $1300. Of course, if you’re hoping to purchase an Alba white truffle, expect to spend at least $4500 for one kilo of this amazing product. How much do truffles go for? So, in general, how much do truffles usually sell for? As you can see, the prices are all over the board! Generally speaking, if you’re buying truffles from a reputable supplier, you should probably budget between $50 and $100 for your purchase, especially if you’re buying in bulk. But how much does one truffle cost? In the end, it depends on so many factors that it’s impossible to nail down the price of a single specimen. Depending on where you find truffle products, you might expect to spend a wide variety of different prices. However, for each product, there’s a baseline you can budget for. Anything that falls below this price range is likely to be lower-quality, and something you should stay away from. Truffle Butter – This product is just what it sounds like! It’s butter, usually fresh and locally-sourced whenever possible, that has been combined with pieces of fresh truffles to create a new, very powerful flavor that blends in well with most types of savory cooking. 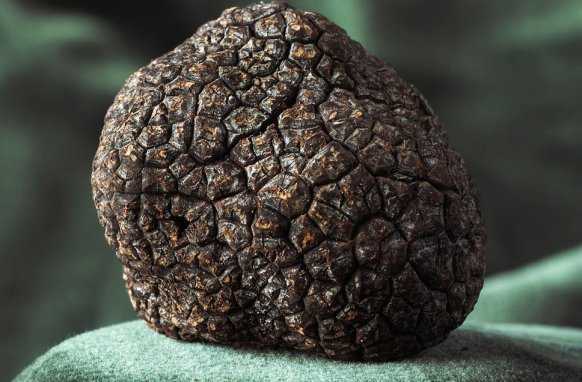 Black summer truffles are most often used in the creation of truffle butter, but small pieces of higher-quality black winter truffles might be mixed in. Usually, these pieces come from truffles that were too small to sell on their own or were close to running out their shelf life. Good quality truffle butter should cost at least $25 per pound. Truffle Oil – Truffle oil has become very popular in the past few years. However, when you find truffle oil on the shelves of big box stores and chain markets, chances are, you’re seeing a type of oil that isn’t really made with truffles at all. A certain combination of chemical ingredients can create the same flavor as black truffles, but a real truffle oil is always made with actual, fresh ingredients. When truffle oil is infused with real truffle pieces, it’s made with either black or white truffles. High-quality black or white truffle oil should cost at least $30 per 8oz. Truffle Sauce – When you buy truffle sauce, you’re really getting something more like a truffle pesto. Truffle sauce is a chunky combination of truffles and other types of mushrooms that work together to form a strong, bold flavor. It can be mixed into pasta as-is, or it can be stirred into cream sauces in order to give them a much fuller taste. Truffle sauce is almost always made with black truffles, and usually with summer black truffles that aren’t quite as valuable overall as their winter variety. This is an affordable product that runs around $10 per 3oz jar. Truffle Ice Cream – It’s not always easy to find black truffle ice cream, but it is possible! More and more, stores have started making their own truffle ice cream blends and selling this unique take on sweet-and-savory. This is not a type of ice cream that most children will enjoy, but adults are sure to love chowing down on such a unique dessert. You probably won’t find truffle ice cream outside of local gourmet food shops. When you do find it, be sure you’re spending at least $10 a gallon, or real truffles might not be an ingredient. Truffle Skin Care – Last but not least, truffle skin care products have seen a boost in popularity in the past few years. It’s believed that including truffles in lotion, facial cleansers, and skin creams can help tighten the skin and reduce signs of aging. Both black and white truffles are included in these products, but many products have started claiming to contain truffles when they really don’t. The price for skin care luxury is pretty high, so expect to pay at least $300 for a small container of face cream, eye cream, or moisturizer, and at least $500 for most other types of skin care products containing truffle. 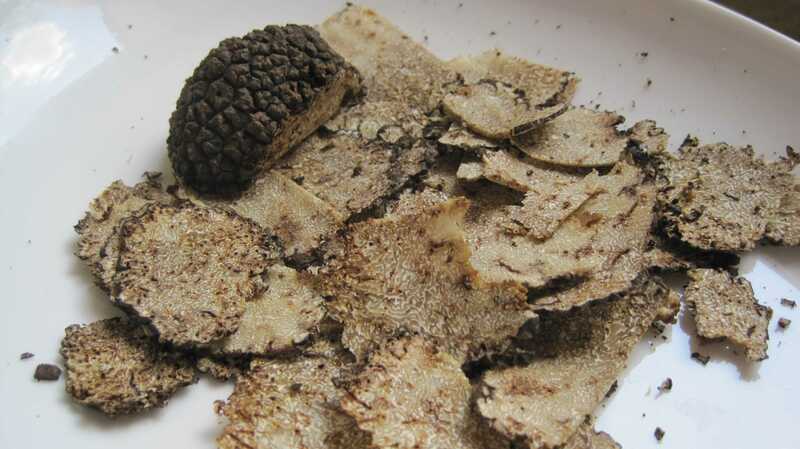 There are several suppliers and brands that sell both truffles and truffle products. Each one has a different price range as well as quality level, so you can find exactly what you’re looking for without necessarily having to spend more than you expected. Urbani – This is one of the most popular truffle brands in the world. They harvest truffles directly from Europe and ship them within 48 hours directly to your door. All of their products are very high-quality, making them a great choice for incredible cooking experiences. So how much are truffle mushrooms from Urbani? Black summer truffles start at about $24 per ounce, and black winter truffles go up in price from there. Oregon Mushrooms – This company provides fresh black Oregon mushrooms, which are much more affordable than many European varieties. Since they’re located in the US, they can be cheaper when it comes to shipping as well. So how much does a truffle mushroom cost from Oregon Mushrooms? Expect to spend about $20 per ounce on these products. Gourmet FoodStore – This is a popular company that provides fresh black in-season truffles as well as many preserved truffles and truffle products. They ship directly from Europe just a few hours after harvesting and supply a lot of experienced chefs worldwide. How much do truffle mushrooms cost from Gourmet FoodStore? One ounce of black summer truffles starts at around $33 from this company. Winter truffles cost much more. D’artagnan – This is one of the best companies for purchasing all types of popular European truffles from around the world. You can place an order and expect your truffles to arrive in just a few days’ time. Best of all, this company has been around for a while, so you know you’re getting a great quality product. How much is a truffle mushroom from D’artagnan, though? Black summer truffles start at $30 per ounce, while white Alba truffles may cost up to two or three times as much when in-season. Alma Gourmet – Choose this company if you’re looking for either fresh or frozen truffles! This is a great place to get frozen truffles, which can help you cut back on the cost of your special ingredient and pick it up at any time of the year. But how much are truffle mushrooms worth when they’re frozen? Frozen white truffles from Alba are available for around $125 per ounce from this company. It's helpful to know all this information about the actual cost of truffles, but why are truffles so rare, anyway? Growing truffles is hard work! The process costs quite a lot of money, and it takes a long time to complete as well. This has a lot to do with the high price of truffles, so it’s important to understand the production of these rare delicacies. Land – It costs a lot of money to buy land! If you don’t already own land in the right type of climate for truffle growing, you might find yourself having to spend even more when you try to grow truffles. Although the price of the land is a one-time amount, keeping it up costs quite a lot more. Every year, the soil will need to be treated to ensure that it’s at the right pH for truffle growth, and trees will need to be cared for appropriately. Water – Truffles are a type of fungus, and they require a lot of moisture in order to grow effectively. Trees will need to be watered frequently, probably through some sort of irrigation. Since water can get expensive fast, this is yet another cost contributing to the overall price of truffles. Trees – Truffle trees run at different prices depending on the type of truffle they’ve been inoculated with. Have you ever wondered, “Why are truffles so good?” This has a lot to do with the truffle trees they grow on! Most truffle trees used in the United States are a type of nut tree, and so are many of the ones in which truffles grow in the wild in European countries. Because of this, truffles tend to taste like the type of nut the tree bears. The trees themselves average out to around $20 to $25 per tree, which means that if you’re hoping to plant a large amount of land, you can expect to pay a hefty sum for these inoculated trees. Injections – Truffle growers who prefer to inject their trees themselves still have to come up with the money for the inoculations. These shots of live truffle cost a lot of money as well, and since they’re only available from France, shipping costs can quickly add to the price of truffle production, too. Overall – While the cost associated with producing truffles changes greatly depending on many factors—including land ownership, climate and location, access to frequent rainfall, and much more—a good rule of thumb is to budget around twenty-five thousand dollars per acre of truffle land. This doesn’t include actually having to purchase the land in the first place, but it does include the trees, water, and lime needed to balance the soil’s pH. The difficulty of growing truffles is one of the biggest reasons they’re so expensive, but there are still a few other factors that contribute to the price. In order to really understand which truffle is most expensive and why it’s a good idea to consider these details too! There’s more to truffle growing and hunting than just walking out into the countryside and picking the first mushroom you come across. All of these aspects of truffle cultivation lead to expensive ingredients and truffle-based products, too. Handling – Truffles are hard to handle, from the time they’re first discovered until they finally grace the plates of fine dining restaurants around the world. If they’re harvested with pigs, there’s a chance they’ll get damaged in the process of being picked. Truffle hunters who dig them up with rakes run the same risk. Even when using dogs and carefully picking truffles, they can lose their flavor and quality almost immediately, making it imperative to sell them fast. All that quick moving and shipping increases the cost of truffles significantly. Maintenance – It’s hard to keep a truffle in great shape after it’s been picked, and it’s even harder to keep a truffle tree healthy and producing truffles for years to come. When you’re asking “how much is a kilo of truffle?” it’s important to remember just how much work goes into keeping trees healthy, working the land, and fighting the elements to make these great ingredients grow. Much of the cost comes from the expense required to keep the host trees thriving, even when the weather might not be as great as it could. Short shelf life – Unfortunately, truffles don’t last long once they’ve been harvested. They begin to lose their flavor and aroma almost immediately, and they are not worth selling even a week after they’ve been picked. This short shelf life drives up the price, simply because of supply and demand. People are more willing to pay a lofty sum for a rare truffle when they know they won’t have another chance to snag it for at least a year! This also leads to a lot of impulse buys, which drives the price of truffles up at auction as well as in stores. Prestige – Of course, a lot of what makes truffles cost so much is their prestige. Historically, these great fungi were considered to grant long life and a strong family line to anyone who consumed them. Although the mystic properties behind truffles may not be quite as touted today as they were long ago, there’s still some sort of draw that brings people back to these delicious ingredients time and again. How much are truffles worth per ounce, though? It’s true that people often pay much more than you might expect for a taste of a rare truffle, but the value comes partly from bragging rights. Being able to tell someone that you’ve tried an expensive truffle sounds pretty great, doesn’t it? Rarity – How much is a truffle per pound? A lot of that has to do with the rarity of that particular type of truffle! Oregon black truffles, for example, are pretty common. Although they’ve just come onto the scene in recent years, truffle farmers in Oregon have started cultivating these fungi very quickly. They reproduce pretty easily, and they start growing within only about five years after they are planted. Alba white truffles, however, only grow on a handful of trees in a specific part of the Italian countryside. Because of this, they’re very rare, and it’s no secret that rarity drives up the price of just about anything. The cost of a truffle depends largely on how easy it is to come by that specific type of truffle. So... why are truffle mushrooms so expensive? Now that you’ve read through this article, you should know a lot more about the price of truffles! You’ve had a chance to learn all about the cost of truffles and truffle products, and to find an answer once and for all to the question, “Why are truffles so expensive?” You’ve even been given a little extra insight into how much it costs to actually produce truffles, in case you ever want to consider it yourself. So why is truffle so expensive? As you have learned, there are plenty of factors that work together to increase the cost of this popular ingredient. 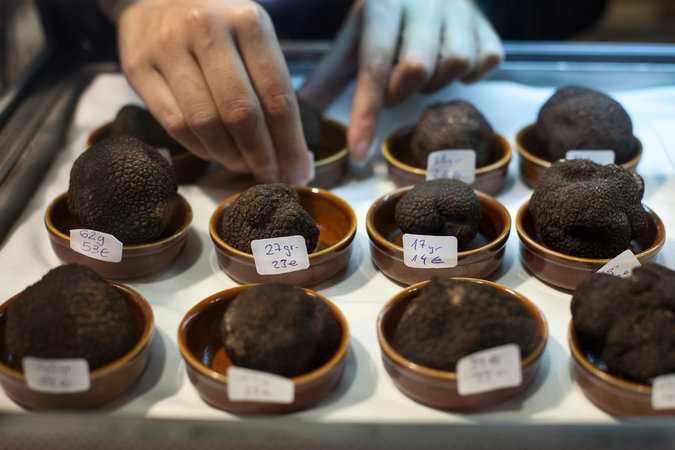 It’s likely that the price of truffles won’t go down very much in the near future, even as other types of truffles aside from the most expensive ones become more popular on the worldwide market. However, you have a lot of options if you’re looking for truffle-based products to help you save some money! Now that you’ve learned a little bit about how much to budget for your truffle shopping, it’s time to go looking for the right ingredients for your dish. Be sure to check out truffles, truffle butter, truffle oil, sauce, and even skin care online through the popular companies listed above. You can also shop for these products in stores if you have access to specialty shops or international markets. With the right budget, you’ll be ready to pick up some fresh truffles and start cooking right away!